Although there were many Tarot decks prior to the Rider-Waite-Smith deck, and many after, none has gripped the popular imagination as much as this set. 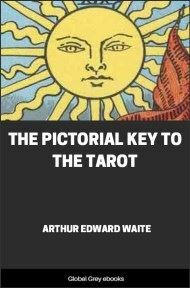 Waite covers the significance and deeper implications of each card, and gives practical instructions as to how to conduct a reading. 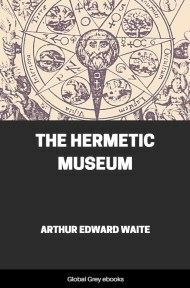 The symbolism of the Rider-Waite-Smith deck is based on profound occult studies by Waite, and his exposition in this book of its use and meaning is unexcelled. This is a must-read for anyone who wants to understand the Tarot. 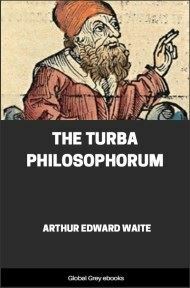 IT seems rather of necessity than predilection in the sense of apologia that I should put on record in the first place a plain statement of my personal position, as one who for many years of literary life has been, subject to his spiritual and other limitations, an exponent of the higher mystic schools. It will be thought that I am acting strangely in concerning myself at this day with what appears at first sight and simply a well-known method of fortune-telling. Now, the opinions of Mr. Smith, even in the literary reviews, are of no importance unless they happen to agree with our own, but in order to sanctify this doctrine we must take care that our opinions, and the subjects out of which they arise, are concerned only with the highest. Yet it is just this which may seem doubtful, in the present instance, not only to Mr. Smith, whom I respect within the proper measures of detachment, but to some of more real consequence, seeing that their dedications are mine. 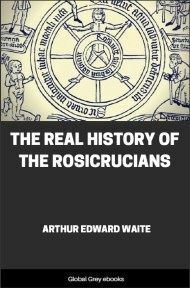 To these and to any I would say that after the most illuminated Frater Christian Rosy Cross had beheld the Chemical Marriage in the Secret Palace of Transmutation, his story breaks off abruptly, with an intimation that he expected next morning to be door-keeper. After the same manner, it happens more often than might seem likely that those who have seen the King of Heaven through the most clearest veils of the sacraments are those who assume thereafter the humblest offices of all about the House of God. By such simple devices also are the Adepts and Great Masters in the secret orders distinguished from the cohort of Neophytes as servi servorum mysterii. So also, or in a way which is not entirely unlike, we meet with the Tarot cards at the outermost gates--amidst the fritterings and débris of the so-called occult arts, about which no one in their senses has suffered the smallest deception; and yet these cards belong in themselves to another region, for they contain a very high symbolism, which is interpreted according to the Laws of Grace rather than by the pretexts and intuitions of that which passes for divination. The fact that the wisdom of God is foolishness with men does not create a presumption that the foolishness of this world makes in any sense for Divine Wisdom; so neither the scholars in the ordinary classes nor the pedagogues in the seats of the mighty will be quick to perceive the likelihood or even the possibility of this proposition. The subject has been in the hands of cartomancists as part of the stock-in-trade of their industry; I do not seek to persuade any one outside my own circles that this is of much or of no consequence; but on the historical and interpretative sides it has not fared better; it has been there in the hands of exponents who have brought it into utter contempt for those people who possess philosophical insight or faculties for the appreciation of evidence. It is time that it should be rescued, and this I propose to undertake once and for all, that I may have done with the side issues which distract from the term. As poetry is the most beautiful expression of the things that are of all most beautiful, so is symbolism the most catholic expression in concealment of things that are most profound in the Sanctuary and that have not been declared outside it with the same fulness by means of the spoken word. The justification of the rule of silence is no part of my present concern, but I have put on record elsewhere, and quite recently, what it is possible to say on this subject. 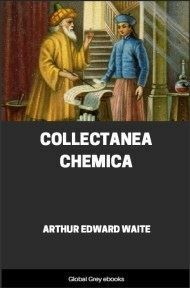 The little treatise which follows is divided into three parts, in the first of which I have dealt with the antiquities of the subject and a few things that arise from and connect therewith. 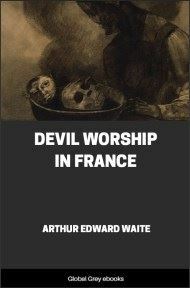 It should be understood that it is not put forward as a contribution to the history of playing cards, about which I know and care nothing; it is a consideration dedicated and addressed to a certain school of occultism, more especially in France, as to the source and centre of all the phantasmagoria which has entered into expression during the last fifty years under the pretence of considering Tarot cards historically. 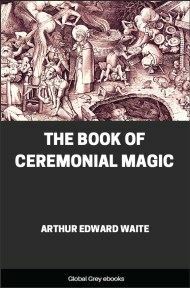 In the second part, I have dealt with the symbolism according to some of its higher aspects, and this also serves to introduce the complete and rectified Tarot, which is available separately, in the form of coloured cards, the designs of which are added to the present text in black and white. They have been prepared under my supervision--in respect of the attributions and meanings--by a lady who has high claims as an artist. Regarding the divinatory part, by which my thesis is terminated, I consider it personally as a fact in the history of the Tarot--as such, I have drawn, from all published sources, a harmony of the meanings which have been attached to the various cards, and I have given prominence to one method of working that has not been published previously; having the merit of simplicity, while it is also of universal application, it may be held to replace the cumbrous and involved systems of the larger hand-books.